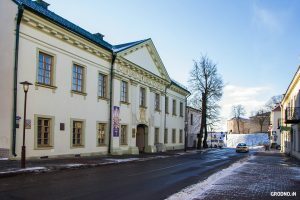 The palace of Khreptovichi in Grodno was built in 1742-1752. 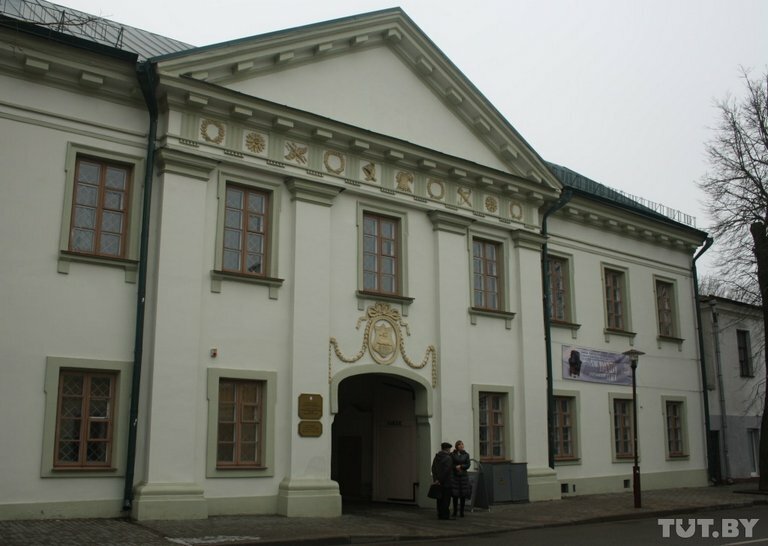 Khreptovichi is the famous old tycoon of the Grand Duchy of Lithuania. They owned many large estates. 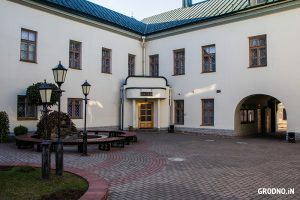 The palace in Grodno was built especially for the Grodno marshal Karol Hreptovich – a prominent statesman, politician, official, participant of the Bar Conference of 1768. 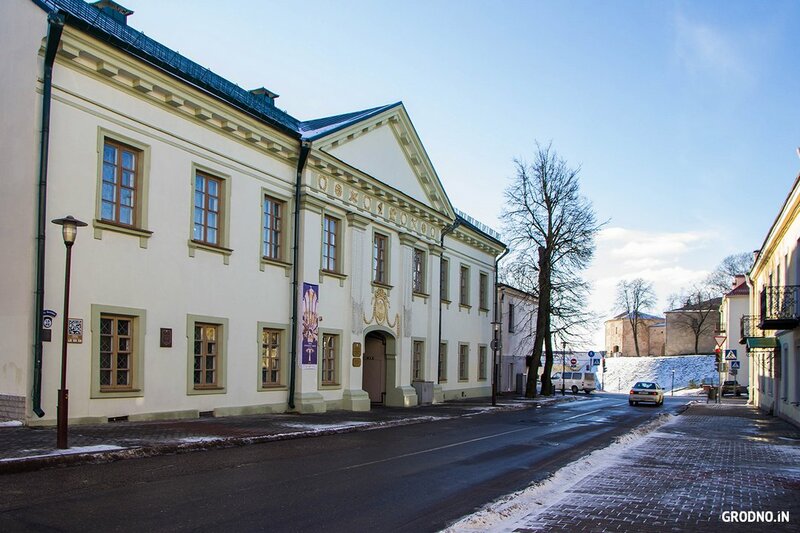 From the Khreptovich family, the palace moved to the great Grodno reformer, educator and politician Antony Tizengauz. Antony Tizengauz introduced a number of reforms useful for urban and state economy, built manufactories and established production at them. With him, the palace underwent a number of changes, becoming more modern and convenient. 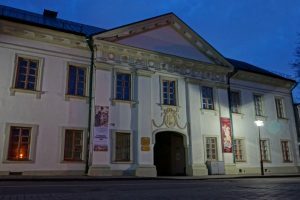 After Tizengauza, the palace was owned by representatives of the families of the Muchinski and Lyakhnitskys. The palace was rebuilt and rebuilt many times after fires and wars. 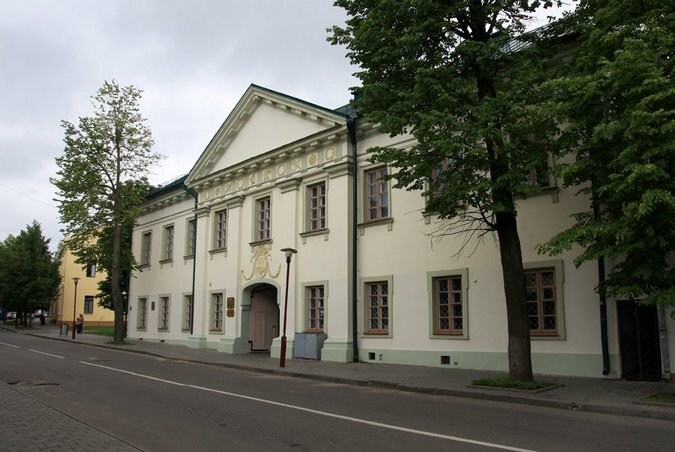 His layout is almost not preserved, but the facade and the original decoration of the facade have not changed. 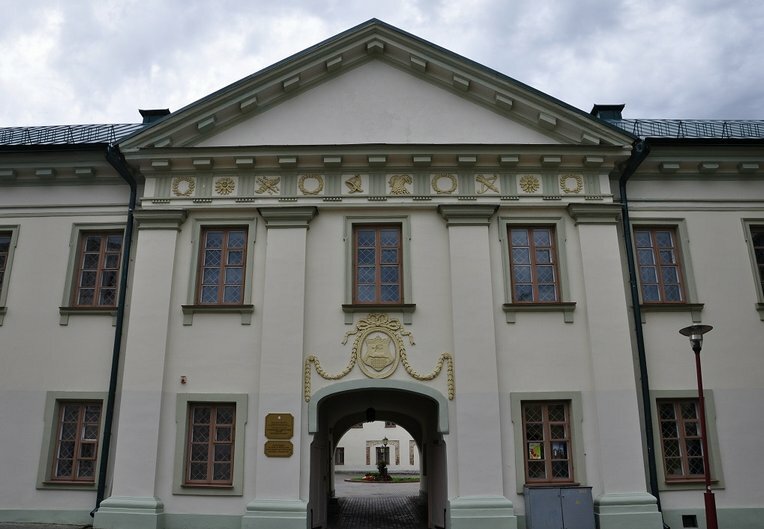 On Zamkavaya street the Chreptoviche Castle is only a front facade with an entrance arch. 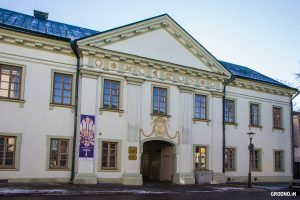 The facade is decorated with knightly coats of arms, over the arch – the coat of arms of the city of Grodno – the reindeer of St. Hubert. There is a cobbled courtyard behind the arch. Most recently, the restoration of the palace was completed. 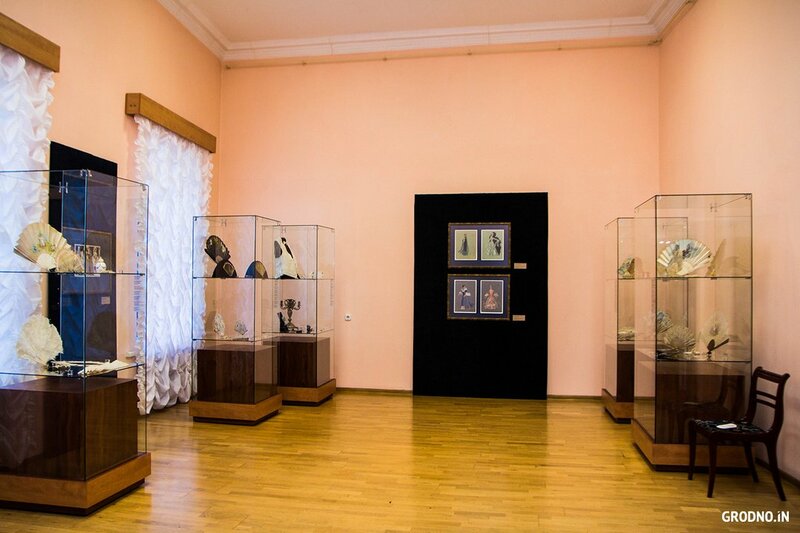 Modern technologies have allowed more painfully to draw all the refined decor of the building. The courtyard was re-paved with cobblestone, a fountain and comfortable benches appeared in the courtyard. The marble entrance staircase was newly trimmed. Since 1992, the Museum of the History of Religion works in the Khreptovichi palace.